Aging is a tricky thing. Let’s be frank, it’s not easy watching the years tick by and realizing that you are moving from decade to decade faster than a jack rabbit (are you sweating yet?). I don’t know about you, but it gives me pause now when I fill out a form and suddenly my age group box looks a lot less desirable than it used to (but why can’t I be in the 35-40 group, why!!). For the most part, we all know the hard things about aging; and don’t we know that society takes some sick pleasure in reminding us, especially us women. Jobs are a little harder to come by, ‘mature’ face creams are suddenly being pushed upon us, our backsides suddenly discover a mind (and position) of their own; even our doctors remind us that post 35 things don’t quite work like they used to (my doctor used to give me the ‘hurry-up’ fertility talk all the time. God I loved those moments of bonding). So it dawned on me the other day that there is not enough dialogue (or even if there is there should be more!) on the positives of aging. I think if we (esp. us women) inundated the airwaves with all the good things aging brings about, then perhaps people wouldn’t fear it so much; or at least it might be a tad easier to embrace. And obviously every one is going to have their own mental list of what they actually like or found surprising (in a good way!) as they advanced in years. For some it will be the letting go of things that used to feel so important; for others it will be the sheer joy of enjoying some ice cream without fearing it's going to kill them or reside on their hips for the rest of their years. (I plan to live my 70's bathed in peanut butter and chocolate ice cream, but that's me). For me, the mightiest thing that my yonder decades (as I like to call them) have brought me is a knowledge of self. I know it is a simple one, but extremely powerful and profound. And take it from a gypsy soul who wandered around and took their own sweet time to figure it all out, knowing who I am now feels pretty damn good. Now that I have hit 40, there is nothing better than knowing one’s true character (warts and all), limitations, stress points, principles and overall likes and dislikes. There is a true freedom in knowing all things that matter to oneself and more importantly, the things that don’t matter anymore - and oh is that list growing longer by the day. It’s as if you can stand on a small hill, look down and see your younger self worrying and fighting and stressing about all the uncontrollables and you realize that this older you is in a much different place (or at least trying to be). Now, don’t misunderstand me. I have not grown into the Buddha or anything. I still stress and make mistakes; I often still fight the things I can’t control, and I certainly have not figured it ALL out. But there is wisdom in knowing from where you’ve come that makes it a heck of a lot easier to make decisions and stand by them. No to mention, realize that all the fight in life is more exhausting than it's worth. My new motto: surrender (in safety of course) whenever possible. Moreover, age brings about a liberation of sorts in the fact that even though you know you can always change and evolve and work on things in yourself, there are certain things that if you haven’t changed by now, you’re probably not going to (so embrace that love of chocolate damn it, and stop trying to fight it the whole time! Life is short). You may dull the sharp edges perhaps from sheer fatigue (! ), but they may not disappear forever. And that’s okay. 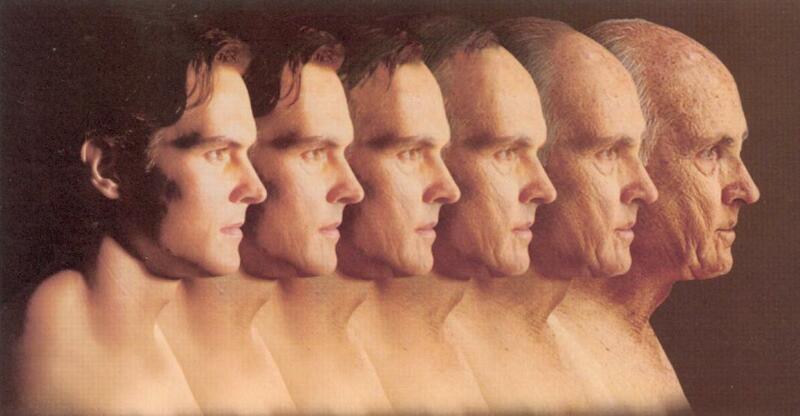 And of course, the other great thing about aging is the sheer progression of life. You (hopefully) have met someone you love and finally realize what that means. You have kids or pets, or responsibilities that bring out your best (and sometimes most challenged) self. You have hindsight (ah that good ol’ hindsight) and the ability to reflect (and hopefully gain wisdom in that reflection). And you realize that despite how many mistakes you thought you made getting to this point, you can now categorically say that they’ve made you who you are....so really they weren’t mistakes at all, but ‘learning experiences.’ God I love euphemisms.